In July of 1776, the thirteen American colonies had already been at war with England for more than a year. 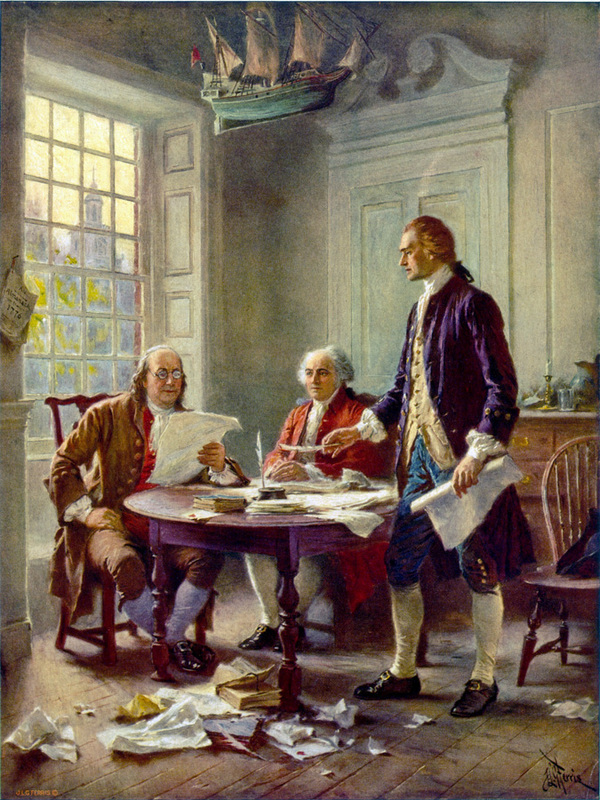 It might seem strange that Americans would feel a need to spend time writing a formal Declaration of Independence, but that is exactly what they did. They felt obligated, they wrote at the very beginning of the Declaration, “by a decent respect to the opinions of mankind” to explain why they no longer considered themselves subjects of the British kingdom. A government, in other words, is established by citizens. The only reason people agree to this is so that government will protect their fundamental rights. King George III, wrote the Founders, had been breaking that agreement for a long time. Instead of protecting the people, his government had engaged in a “long train of abuses” of their rights. They believed no government should be changed “for light and transient causes.” They asserted, however, that once the government becomes an enemy of rights, rather than their protector, citizens have a right to “alter or abolish” that government. The Declaration of Independence includes a long list of King George’s violations of the colonists’ rights. He had found numerous ways to keep their representatives from having a say in how the colonies were governed, even as he levied new taxes on them. He sent numerous government officials to tell them what to do and kept large numbers of troops among them, even to the point of forcing colonists to give over parts of their homes to soldiers. He restricted their ability to sell their products overseas, locked up colonists without fair trials, and allowed his navy to force colonists into working as sailors against their will. 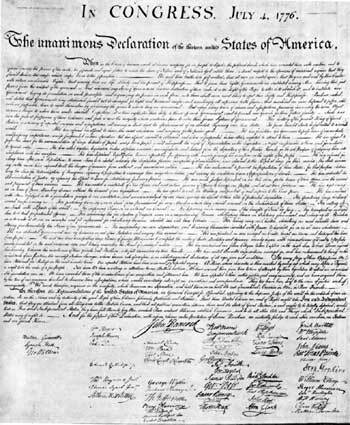 They wrote the Declaration of Independence precisely because being British subjects had meant something important to them. It was no small thing to break the social compact between citizens and government, and the Founders argued that George III had broken Britain’s compact with the American colonies.They believed so strongly in the rights of people that they could not continue to put up with the King’s tyranny. He had broken the contract a legitimate government has with its citizens. The very justification for a government—protecting the rights of the people—was also the justification, in the absence of that protection, for abolishing that government. And so we have, wrote the Founders, “Full Power to levy War.” This may seem trivial to put in the document, given that they had already shown that they knew how to wage war against England. Their point, however, was that this was a morally justified war, waged because people will always have the right to defend their freedom. Reading the Declaration of Independence, we see that the United States is a nation founded not on conquest or tribal loyalty, but on the idea of a free and self-governing people. 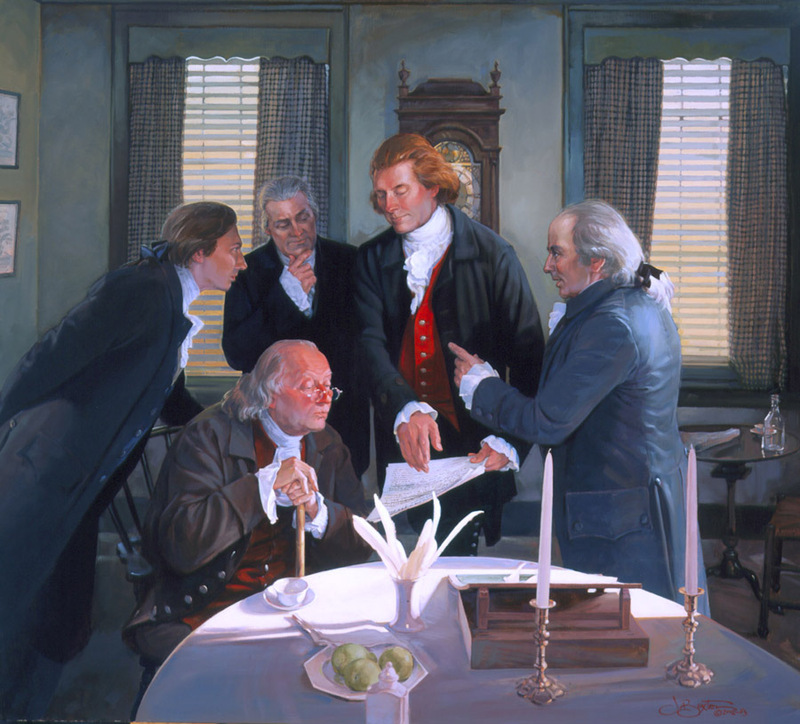 The Founders—all of them important and well-regarded men—believed so strongly in the right of self-governance and the protection of individual rights that they pledged “our Lives, our Fortunes, and our sacred Honor” to the cause of independence. They knew the price, should they lose this battle with the most powerful country on the planet, would likely be the loss of all their wealth, as well as their lives. The members of the Continental Congress who signed Jefferson’s Declaration had more to lose from war with England than most colonists. To pursue their ideas took courage. It is easy to forget this, living as we do under the protection of the Constitution they established. Because there will always be people who want to rule over others, however, we should remember that every generation of citizens must muster the courage to resist those who would take their freedoms away, whether all at once, or bit by bit. According to the principles included in the Declaration of Independence, what is the main purpose of government? According to the principles included in the Declaration of Independence, how does government receive its just (or legitimate) powers? From the petitions for redress of grievances by the people themselves. From the authority of the governed, who express their wishes through elected representatives. From the monarch’s promises to meet the people’s needs. From the treaties and other written agreements that settle problems between countries at war. Parliament had refused to allow America’s delegates to participate in debate. The British king had violated their natural rights.